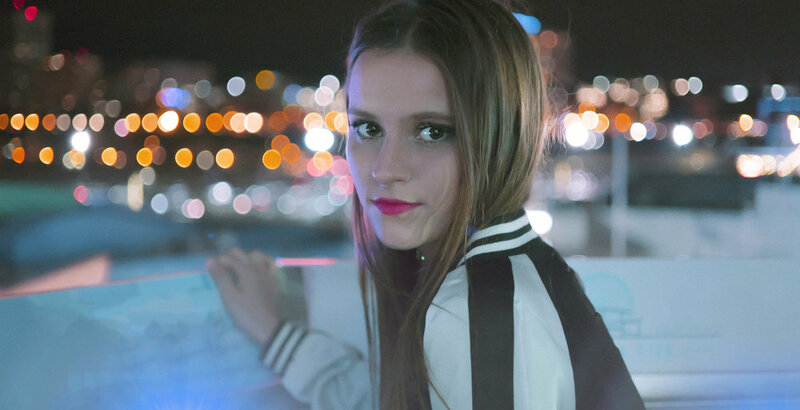 Rosie Darling creates unique music that mixes singer/songwriter style with an upbeat, EDM feel. Described by fans as honest and easy to listen to, Darling has a breathy tone to her voice that adds to the depth of her distinctive sound. Originally from Canton, MA, Darling grew up with a father as a talented guitar player. This guided her passion for singing and playing guitar as a way to compliment her voice. Uniquely, Darling’s favorite musical activity is taking rap songs and breaking them down to give them a melody. She enjoys Chance the Rapper, because of his meaningful lyrics and soulful sound. She has covered "Heartless" by Kanye West and "Passionfruit" by Drake. it's own can help you relate to it more and understand on your own terms,” says Darling. Darling's live shows are upbeat and fun, filled with both original tunes and covers. She believes incorporating cover songs allows the audience to sing along and have a good time, allowing for an all around enjoyable experience. When further asked about her overall goal for her career, Darling has a very honest answer, saying that it is simply to be an artist, while incorporating all types of genres into her musical style. Relating with listeners is her primary goal and she hopes that her honest lyrics will shine through to her followers. Darling has most recently released a single titled “I Miss U”, which can be downloaded free here.